The London cab will deliver 5,000 sanitary packs to homeless shelters and schools. Taboos surrounding periods discriminate against women and hold girls back from achieving confidence and success. Meanwhile, many cannot afford sanitary products, and girls often face bullying at school. Take action on the consequences of period poverty and sexism here. A pink London cab covered in images of tampons, sanitary pads, mooncups, and bloody knickers is picking up passengers across the capital. The Tampon Taxi is part of an initiative by Project Period, and aims to normalise period imagery to battle taboos. 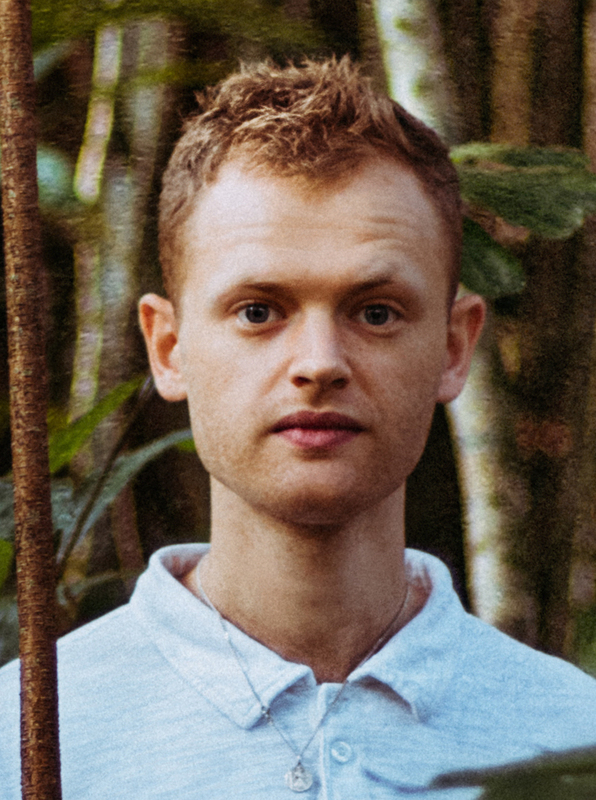 According to Plan International UK, 49% of girls in the UK have missed a day of school because of their period — and Project Period founder Holly Bantleman said the impact of periods on someone’s confidence and sense of pride was “huge." “I’ve spoken to women who are unable to take public transport because they’re on their periods and can’t leave the house, and that ends up having an impact on their work and the funds that they’re able to take home to their families,” she said. While breaking down taboos, the initiative also seeks to draw attention to period poverty, with statistics from Plan International UK showing that 40% of girls have used toilet roll instead of sanitary products due to financial constraints. Girls who struggled to afford the products were less likely to complete their GCSEs or go on to sit A-levels, according to a poll cited in the Independent, while two-thirds of girls lack confidence because of bullies at school. The Tampon Taxi will therefore be donating 5,000 sanitary packs to partners of the initiative — the Red Box Project and Periodical Diary — which will then deliver them to homeless shelters and schools. The taxi set out on Nov. 20 and will be open for business until Dec. 19. 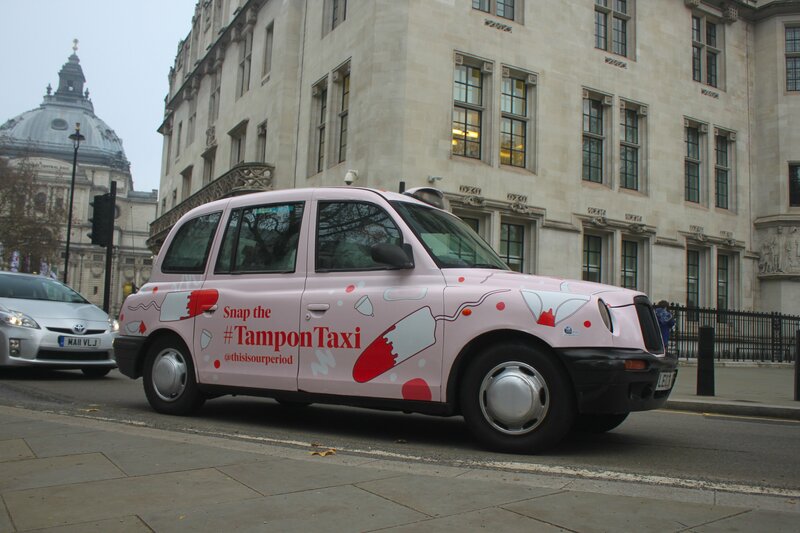 Keep your eyes peeled 👀 The #TamponTaxi has been spotted in London! This little cab will be "driving change" for the next month, sparking chats around global #periodpoverty. Bantleman said that while some might view the initiative as a "shock tactic," it had already succeeded in engaging the public in “electric” conversations online. One Twitter user called the initiative “vile” and “unnecessary," but many other users gave messages of encouragement and love. At least three taxi agencies turned down the tampon taxi artwork, deeming it too offensive. But two male drivers vocally came out in support of the initiative, according to Project Period. Love this. I'll be on the lookout for it! Bantleman founded Project Period after suffering from severe endometriosis in her 20s — a condition where tissue that lines the womb is found outside the womb. Dr Anita Mitra, also known as the Gynae Geek, will be taking a drive in the pink cab to answer customer questions and support the campaign — and a live podcast will be from recorded from inside the taxi. Mitra said that she was concerned about the impact that a lack of menstrual hygiene products could have on girls’ psychology and health. She added that alternatives can increase the risk of infections, including sexually transmitted diseases and urinary tract infections. Sanitary products are taxed at 5% in the UK because they are deemed to be “luxury items," and according to charity Bloody Good Period, the lifetime cost of purchasing full-price sanitary products is estimated at £4,800. “It’s ludicrous that things like Jaffa cakes are tax-free, but pads and tampons aren’t,” she added. Hodson said that even removing taxes may not go far enough, as many women are still forced to choose between food, heating, or hygiene. In August this year, Hey Girls was asked to be a major provider in a Scottish scheme to make every school, college, and university provide free sanitary products.